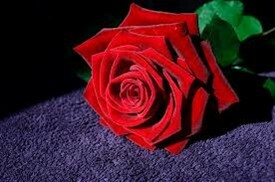 On the 24th June every year, a bizarre ceremony can be witnessed in a public garden near the Tower of London, where the clergy of the nearby church select the best red rose and then placed on a cushion process up to Mansion house to present it to London’s Lord Mayor. This quaint survival, in actuality a revival, may appear to be unique, but such rents called Quit rents were very common across the country and Nottinghamshire was no exception. Indeed, one such ceremony which has had a fragmentary survival occurs in Leicester around the same time. This ceremony is part of what is called a quit rent, a token rent, established to recognise still the ownership of the property but given as a gift. Other examples exist in the county, but I will focus on these rose rents. The terms included in these documents need of course to be explained. The most common term is bovate. This is a unit of land defined as, as much land which an ox can plough in a year. This is of course, a rather indefinite but often thought to be 15 acres. The other term occasionally encountered is toft, a Middle English term for a homestead. The date of course, is significant above, it was a quarter day, when rents were paid on this date, therefore it is not usual to find that quit rents were paid, in particular the giving of a rose. Newstead Priory have a grant of eight acres just before the entrance to the priory with right to enclose the same, for which they are to render a rose at the exchequer at Midsummer Patent rolls (1437) note that woods in Carlton Gervase de Clifton were similarly paid for at this time. Some quit rents only existed for a set period of time, usually the length of the tenure. For example on April 30th 1576, a Robert Baker gave an oxgang of land to Coddington for seven years for a midsummer rose rent. Similarly in the Bodleian Calendar of Charters, it is noted that around 1380 Robert Doyle of Newark granted John Cramner of Aslockton all the lands and tenements, rents and services in Newark and Northgate, for a period of five years. This would appear to be a bargain! Sometimes, indications of relationships can be read into these gifts. For example when Edmund Hunt in 1488 bequeathed a house in Lister gate to his servant Emmot, subject only to such as rent to his son, it perhaps indicates how well regarded his servant not only to receive a free house but such a low rent! Often rose rents were established by the monarch. In the Close rolls, it is noted in 1279, Edward I held five and a half bovates at Wheatley from William de Friskenard on payment by the keeper of the manor yearly. The size of the land varied considerably, sometimes like John Prat it was simply a mansion and its rent in this case Retford. William de Faucomberge held seven bovates and two tofts at Egmanton from John de Eyville, whereas John de Lowdham held two acres at Lowdham from a William Spigurnel. John Stanhope held Haughton manor and properties worth 60s yearly in Kirton, Walesby, Grimston and Wellow. The most expensive appears to be that recorded in 1516 Sir Edward Stanhope held a manor at Sutton on Trent and Car Colston as well as other properties worth £9 from the King. As far as I am aware, no rose rents survive. However, the very private nature of the gifting of rose rents may mean that such strange customs still exist. The author is researching folklore and customs in Nottinghamshire any correspondence rossparish @hotmail.com greatfully recieved. This page was added by R B Parish on 15/03/2013.